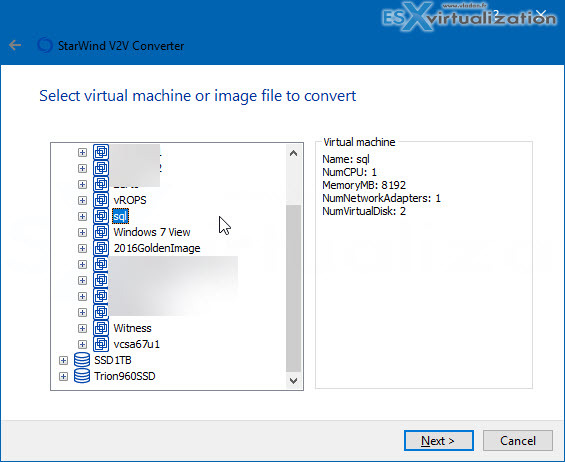 StarWind has updated their free software called StarWind V2V Converter. The software has been around for a long time, but every release gets better. This time the tool can now even do a physical conversion into virtual (P2V). So, for example, you can convert physical Windows Server host into a virtual machine running on VMware ESXi or vSphere. 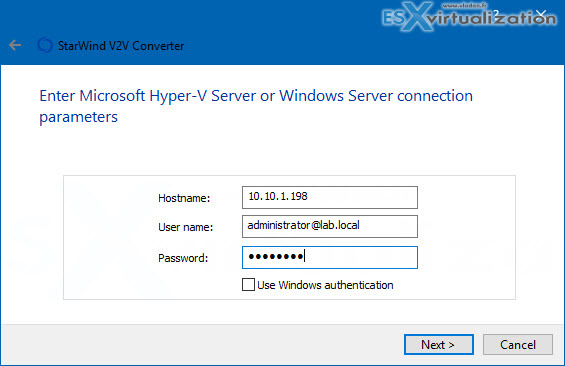 This release also brought the option to convert VMs between hypervisors. 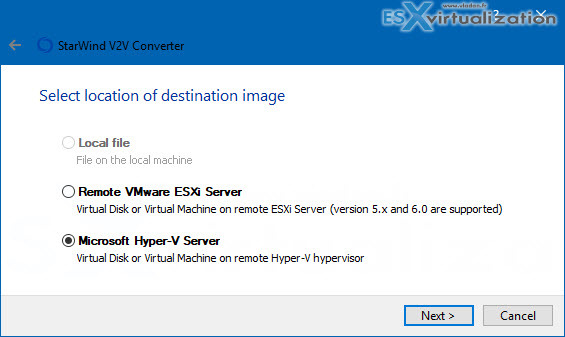 So you are now able to convert VMs from ESXi to Hyper-V and the other way around too. Some people think that P2V was finished a few years ago when virtualization started. Yes, however, there are still new small business companies who are buying physical servers and installing Windows or Linux workflows directly on those servers. Why? Simply because they’re too small to be able to leverage any kind of virtualization, don’t want complexity, or does not have enough financial resources to buy “beefy server”, so they rather go the cheapest way. P2V conversion does everything. It migrates the server OS including its configuration and all applications running on that server, into a virtual machine. 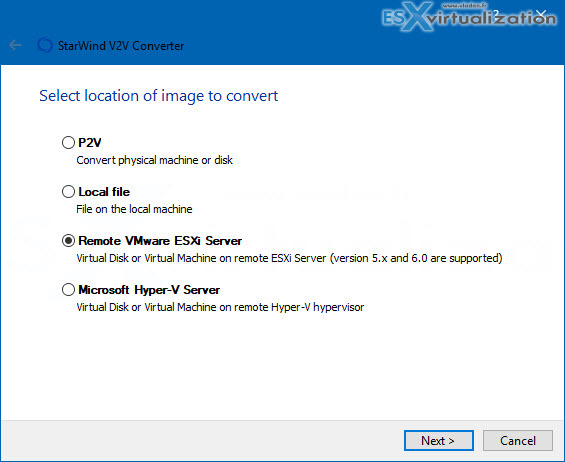 With VMware converter we had an option to do P2V into VMware ESXi, but not into Hyper-V. StarWind V2V Converter allows both. StarWind is pretty consistent with their updates, not only to every piece of software they release but also to their main flagship product which is StarWind VSAN. For example, now the latest release does not even need Windows software to run. Yes, StarWind on Linux can save some additional money when thinking of a hyper-converged solution for your workloads. Let’s get back to StarWind V2V Converter, which this blog post is about. We’ll talk about the different use cases, but first, let’s have a look what’s been enhanced, what’s new and what’s been fixed. StarWind V2V Converter – What’s new? Physical To Virtual (P2V) – Yes, new P2V function added. A whole physical machine can be converted into a virtual one. 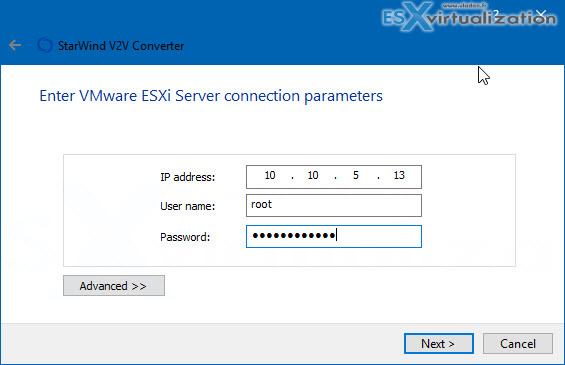 ESXi 6.7 support – ESXi hosts from 5.5 to 6.7 can be remotely accessed with StarWind V2V and conversions can be launched. Virtual disks (VMDKs) from older ESXi versions are also supported. New x64 Architecture – The utility is now built on x64 architecture and requires x64 OS to run. Fix for processing QCOW2 containers. As being said, the P2V conversion allows you to convert a physical server into a VM. 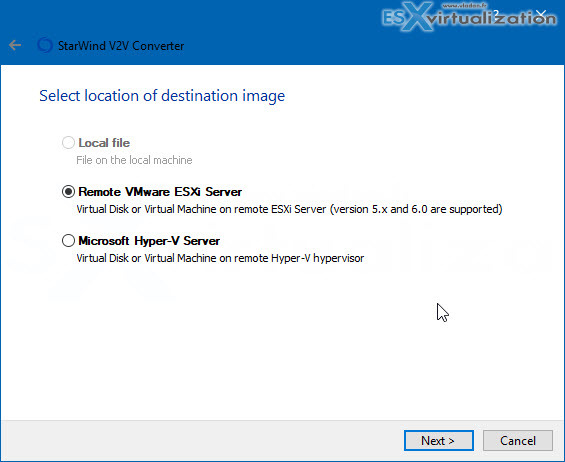 Either VMware ESXi or Microsoft Hyper-V can be selected. during the assistant, you can uncheck volumes (disks) so if you don’t need some data disk, for example, to be converted, you can simply uncheck to ignore it. Entering IP address and credentials…. And then the last screen is where you pick the Name of the VM, a Datastore, and Network. The utility is compatible with major hypervisors like Microsoft Hyper-V, VMware ESXi, Citrix XenServer, and KVM. The only drawback is perhaps the fact, that you need to shut down the VM you want to convert, but that’s something which you can do during night time or so, so I would not see it as a big problem. 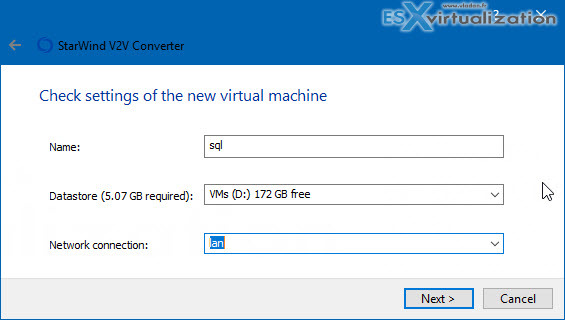 Let’s say you want to convert ESXi VM into a Hyper-V VM. 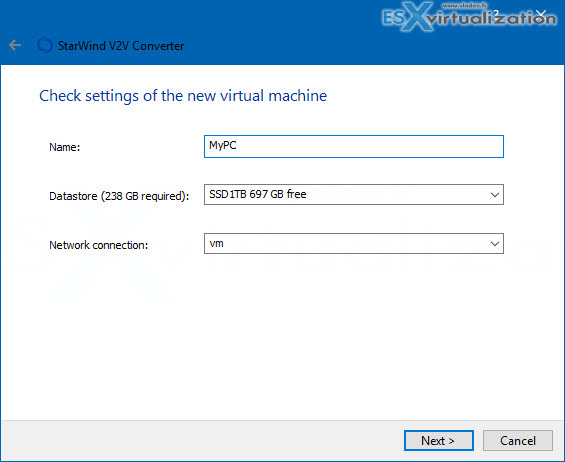 What you need to do is to install StarWind V2V Converter software on your desktop (or on a desktop of some management workstation) and then start the conversion process. Then pick a datastore where the VM is located. In my case, I just pick a test VM. And fill in the network details. Cannot be easier. As you can see, the process is simple by following wizard-driven workflows. The utility has also something called Windows Repair Mode – StarWind V2V Converter makes migration between different hardware sets easier, supporting Windows Repair Mode during conversion to VHDX. This way, the VM automatically adapts to the given hardware environment, negating any compatibility problems. 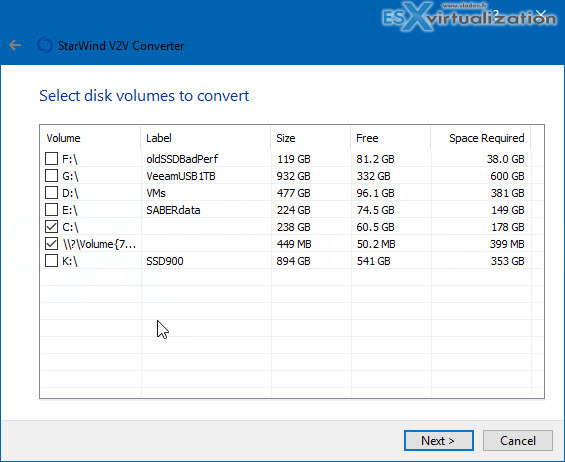 StarWind V2V Converter Free is available at this link. VMware Cold Clone to convert your physical machines, where to get it? The new feature does not work for me when attempting to convert a physical server to ESXi host. When I get to the screen “Check settings of the new virtual machine” the drop-down boxes for Datastore and Network connection are empty. Even if I type the actual name sin there I cannot progress because “Next” is greyed out. And it is seeing the ESXi host as if I give it the wrong IP it complains. Not ready for prime-time yet maybe.